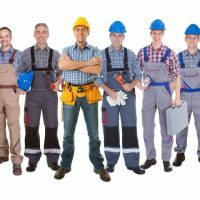 We know that every business sector has different needs and that is why we have developed a range of services to ensure business owners in the construction sector get the best help and support. With HMRC’s Making Tax Digital around the corner and the lack of awareness by the public, Mollan & Co is committed to be ready with a range of services to make the change as simple as possible for our clients. As Xero Gold partners we have developed a variety of mobile phone accountancy services that remove the hassle of bookkeeping as well as keeping business owners updated with the state of their business on a day-to-day basis.